These black tabi socks are ideal for any situation and essential for wearing with Japanese jikatabi or sandals. The colored toes give them a distinctive stylish look. 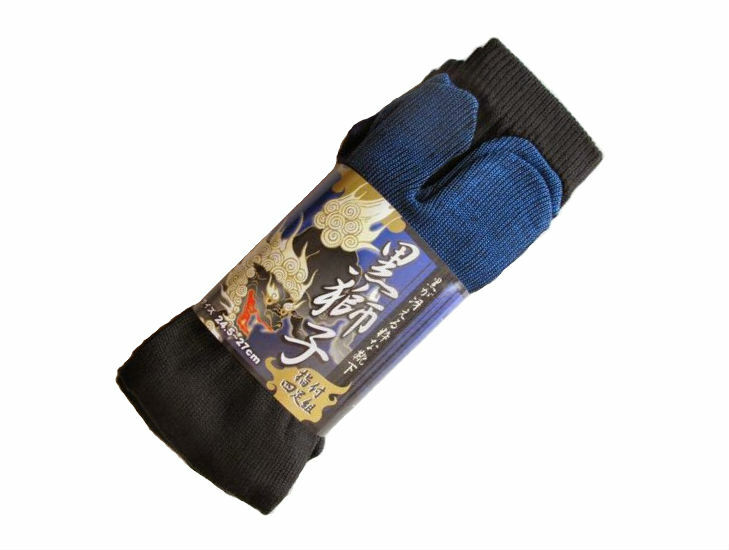 These black tabi socks are ideal for any situation and essential for wearing with Japanese jikatabi or sandals. 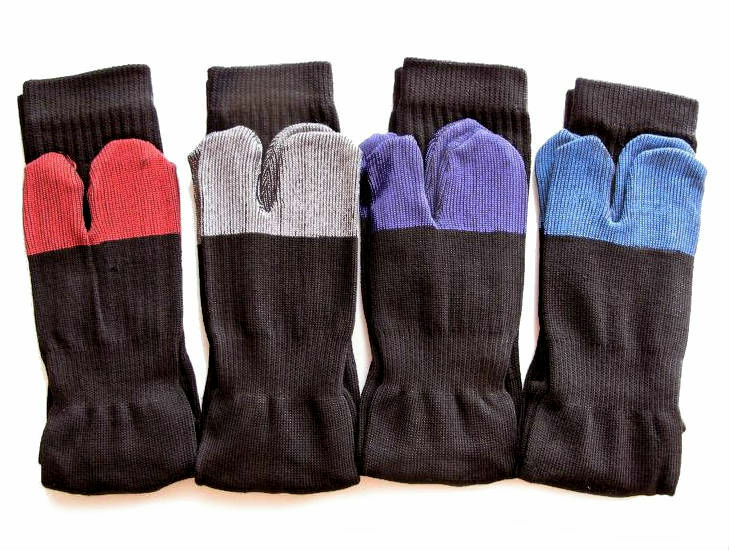 The colored toes give them a distinctive stylish look. 100% cotton with extra support for the arches and calves. Mid-calf height.